That is what I should call it. 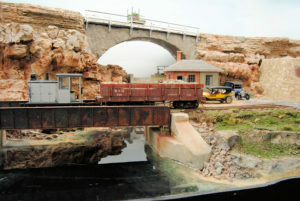 The layout originally were two On30 modules at the time this photo was taken. The On18 line was strictly a visual thing without any running. 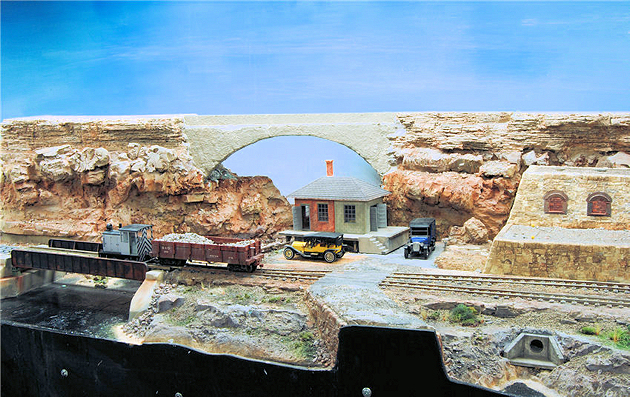 I was supposed to leave out in the morning for the 2011 Narrow Gauge Convention in Hickory, North Carolina and the only thing I had to cross the canyon there was a 1″x3″ board. 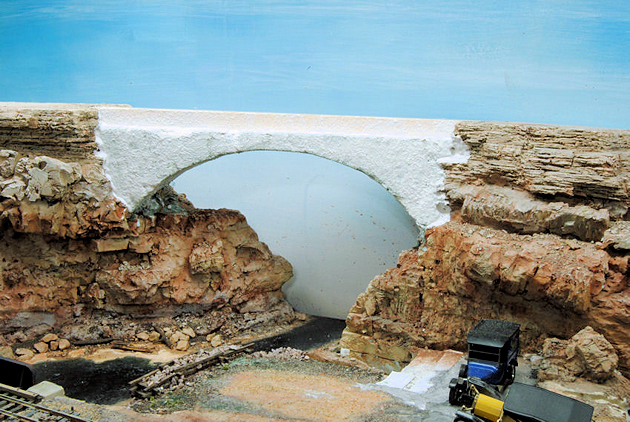 So at the almost literal last minute I grabbed some green florist’s foam, some glue and a knife and created a bridge. I don’t remember off hand what I used but I made up a slurry of something like Modge Podge, plaster and sanded grout which I spread liberally across the bridge shell. Once the paint dried I came back and attacked with a Alcohol India Ink wash .. a light touch here .. just enough to tone down the yellowish Linen color.